Firstly I would like to thank everybody for the best wishes pre and post marathon. Running a marathon isn’t easy despite running twelve previously, this has been my toughest one yet. But I’m proud to have completed my fourth world major, Berlin, London, New York and now Tokyo. I’m not the best or the fastest runner, but I am a runner. One of the reasons I enjoy the sport is it regularly pushes me outside my comfort zone and the challenge is to meet it. 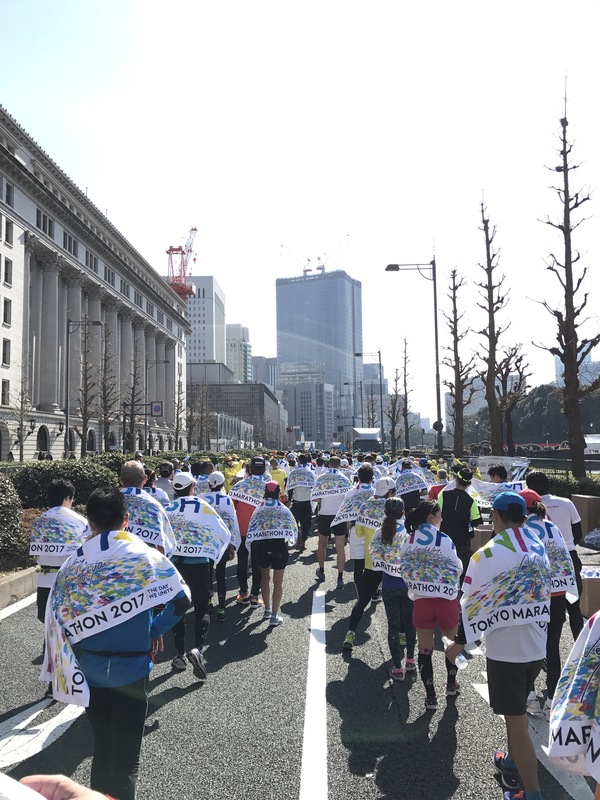 However I got my wish in XXL size in Tokyo, but this is the beauty of a marathon. The first miles I ran with my head which was slower than my marathon pace, before easing my way into a comfortable pace. My plan was to get to mile 16 and if I felt strong, then run with my heart to target a time within 3:30 range. However several days before the marathon, I could feel that my right IT Band wasn’t right, but I told myself I had managed it during training and still hit my targets with no problems. However around mile 11 during the race it flared up and severely inhibited my running. This is the third consecutive marathon where I’ve had a reoccurrence of this so, I’ll be getting this looked at. Furthermore the weather was warmer approx. 13°C than what I was acclimatised to during training, for example my recent half marathon was run at approx 2°C. At the start the sun wasn’t strong and the temperature was in the single digits. For my top half I had two dark layers on with no cap. However the weather warmed up, there where blue skies and the sun was strong. I was overheating and didn’t remove my second top. This resulted in losing a lot of water and salt, this was an error on my part, that I will look to address for the Paris and Chicago marathons. The water stations were all located on one side only during the race, unlike other marathon Majors like the New York marathon which were both sides. The impact was at times if I wasn’t paying attention to the upcoming water stations. The rush and crowd of people was too busy to negotiate across, so I’d miss them and had to wait for the next one approx. 5k away. However when your dehydrated this is too late, which resulted in lost water and salt, I didn’t respond soon enough before the resulting strong cramps in my left quadricep. Both of these factors of the weather and my injury turned a run into a shuffle, pushing me mentally in a dark place, until the question came up that maybe I should quit. I thought I’ve spent a lot of money getting here, that I had let my coach down, that I had let myself down. I was upset that I wouldn’t achieve the time I was capable of. But with negative thoughts you can’t ignore them as they resurface stronger. I let them have their moment but I reminded myself that I was still healthy enough to keep moving forward and I had overcome many other tough situations. As long as I could move forward, I should concentrate on just the next step only. I reminded myself this is what the marathon is about, it’s a test and not meant to be easy. I decided to embrace the situation that I had signed up for, rather than run from it (no pun intended). A lesson I learnt is that no matter how well you prepare over the distance in training, you will never know how the body will react on the day. No matter how mentally tough you think you are, you need to stay humble as life always has a way to test this resolve. But you can still choose how to respond to those bad situations. I planned to run a PB based on my training times, but at mile 11 due to the factors noted above I was considering to either quit, or complete it. Thankfully I chose the latter. There will be aspects of weaving during the race, to get around people, go to water stations etc. 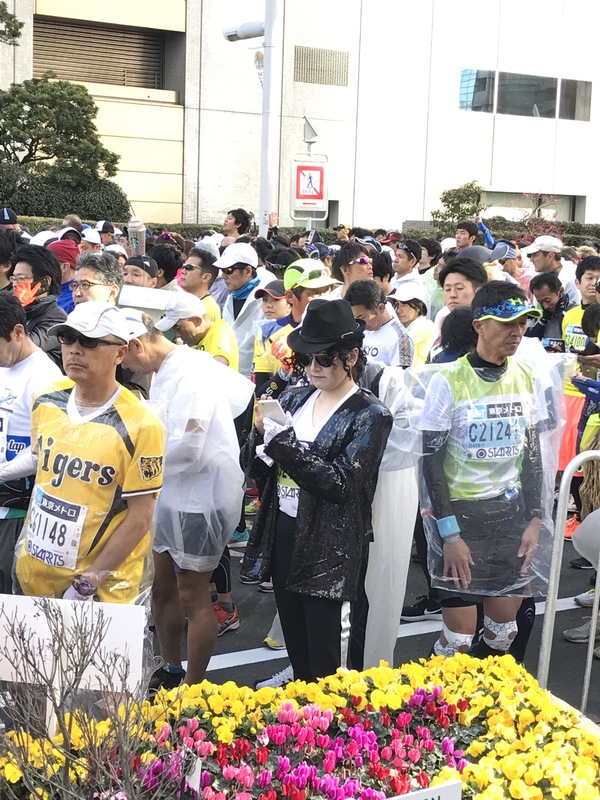 However there was no blue line, and the impact was there was no physical reference to be able to follow the fastest marathon line, which should be addressed next year. There was a very conscious effort to keep a clean course, so there were cup bins. And at times I saw the volunteers weave more skilfully than the many oblivious runners to avoid people whilst picking up litter. Multitasking at its finest, I’ve never seen such a clean course, there were virtually no litter from cups, energy gels etc on the ground. There are designated running blocks, however once the race started it was just a free for all for the groups to go at once. Combined with the 10k and marathon runners, added to the confusion of pacing of the two separate races. I would had preferred an approach like New York (which has more runners) where the starts are staggered and you have space to run your own race. The course has a number of minor undulations in the early miles, but it’s fairly level for the second half. Overall it’s a fast course. The course does double up in several areas. The positive is that you see the elites racing gracefully to the finish. Whereas the negative, is that you see the KM markers on the other side, and are painfully reminded how far away you are from that point. The kilometre markers at Tokyo were poorly laid out for example the 30k and 40km markers were replicated. I heard later that some were to do with race cut off points or medical points. However this caused unnecessary confusion of not knowing what distance you had covered. The organisers could take a look at another world major, the London marathon whose mileage markers are very clear and regular. I covered 26.61 miles with an unofficial time given of 4:00:21 and my garmin recorded a time of 4:00:22. Although you can consider the inaccuracies in GPS watches which aren’t always 100% correct, I still think the course was over distance, as a number of other runners I spoke to also reported finish distances from 26.6 – 27.1+ miles. 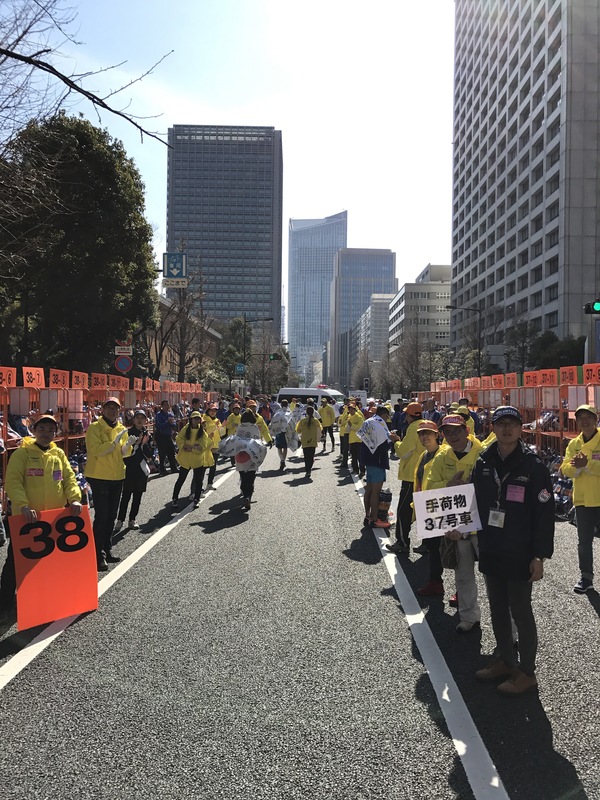 There was great local support throughout the Tokyo marathon, and the volunteers where extremely encouraging. The finish area, all items are given in a piece mill fashion, i.e. foil blanket, finisher towel, banana, etc. before receiving the beautifully crafted medal. 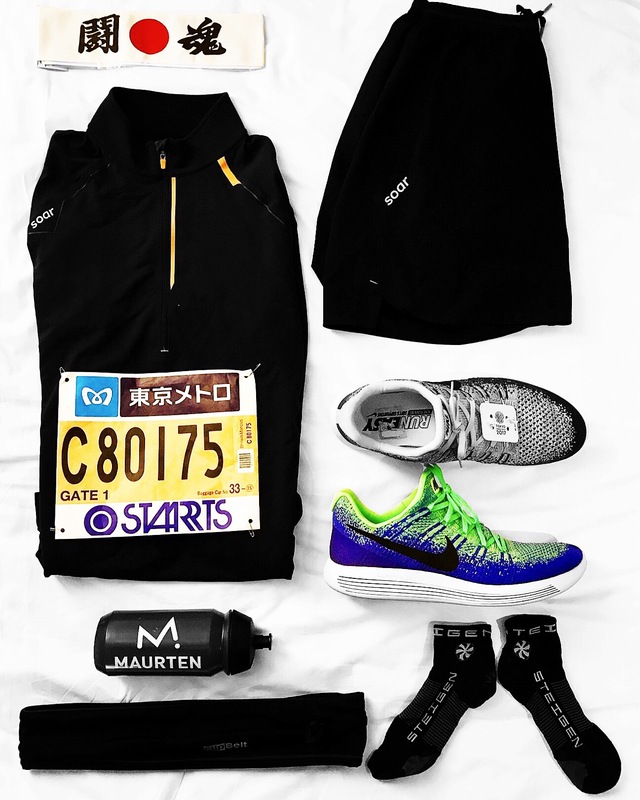 On receiving each item, be prepared for a very long walk to get out of the finish area and connect with family or friends. 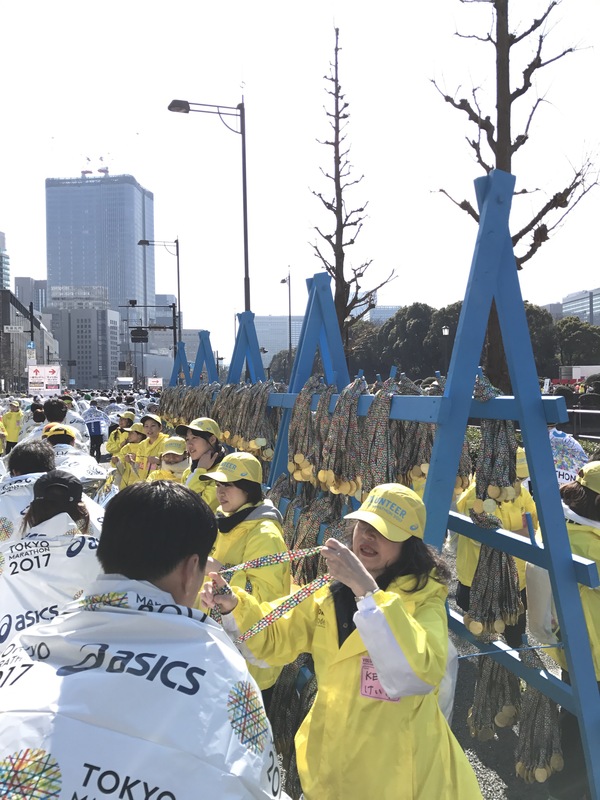 However the bag collection at Tokyo was one of my favourite marathon experiences. The volunteers gave everyone a rugby style guard of honour. It was an amazing and unique personal touch. What I didn’t fully appreciate was the impact of jet lag, lack of sleep, combined with doing a lot of tourist activities had on my running. It’s an area I underestimated and its impact on marathon performance. So if you travel here for 2018 and beyond, make sure you get there early to acclimatise. 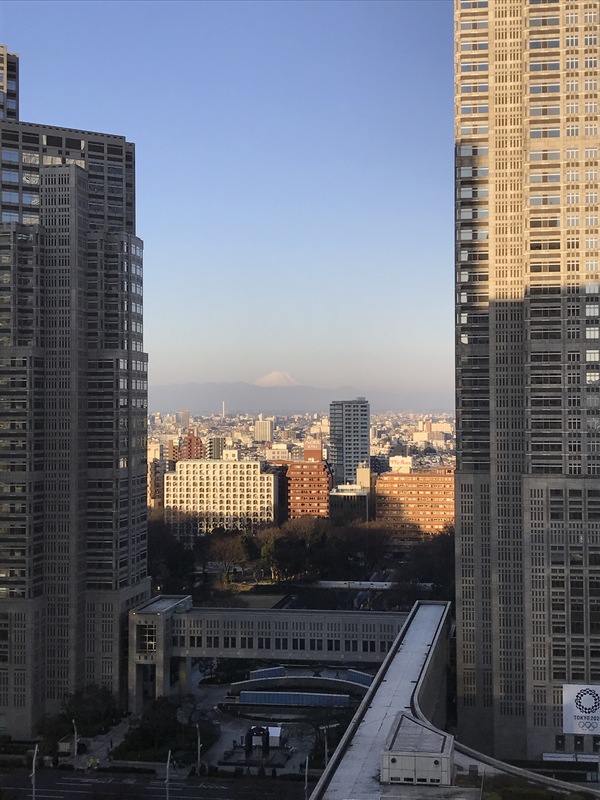 Japan has a lot to offer culturally and I’ll cover the tourist activities in a separate blog. Although it was overall a good race, I feel that the suggestions above would make this good marathon, a great one. Despite the challenges I learnt some great lessons. Races aren’t always about PRs, and sometimes just to finish, despite being dehydrated and with an IT Band injury. I didn’t quit, and this is a win. Thanks to my friend Sam a 6 Star World Major Finisher for the reminders to help me see things in context. I did the best I could of done on the day, that’s just nature of the beast of the marathon. Use this marathon experience to learn from and improve in the future. You can only do better once you know better. There are no bad races, only good races and learning experiences. Remind myself that even my “bad” performance is still a long way ahead of the average finish time. 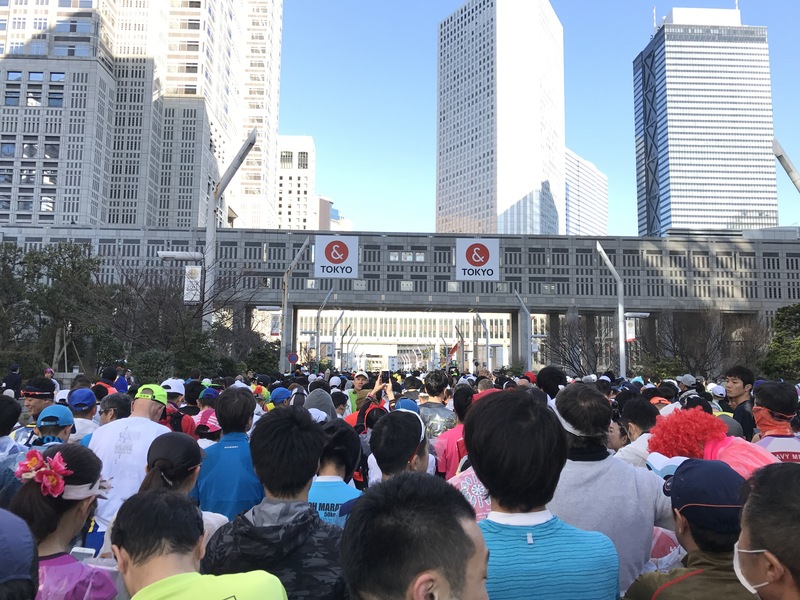 Firstly thanks to organisers of Tokyo for putting on a good race, and to the amazing volunteers. Thanks to SOAR running for the great kit and coaching in the buildup. Thanks to Nike for sending me a pair of the excellent LunarEpic Flyknit Low 2. Thanks to Steigen Sport for the socks, I had no blisters post race. Thanks to Enertor global for the performance insoles, which helped me in my marathon build up. Including my half marathon in Victoria Park and 1 mile Soar Winter Warmer race. Thanks to Maurten for giving me the mix drink which Wilson Kipsang used to win the Tokyo marathon. Unfortunately you can’t bring fluid into races due to security. So I’ll be reviewing this properly post Tokyo. Thanks to Doms ease oil for the sports massage oils, which are essential in running recovery. Thanks to all the runners I met on this trip, too many to name, it’s been great sharing stories, and successes with people like Stuart Millar an absolute top gent and worthy six star finisher. Hey mate – at an international race like this, the course will have to be measured multiple times by the IAAF/similar organisation as it’s one of the biggest marathons in the world and a gold label event. The course will be guaranteed, 26.2 miles. Nice report – sounds like a tough day. Enjoy Paris, it’s an awesome race. Thanks Joe, I agree that about the IAAF measurements etc. but it didn’t help having multiple markers. When you compare it to the standard of the other Majors. It just needs to be consistent. Definitely mate, that’s not what you want at all. The majors I’ve done (London, Berlin) were both excellent markers wise. The quality thing in London is all the miles are marked and timed, it would be great to have this in Tokyo also. This would be such an awesome opportunity! If you have the opportunity do it, overall it was a good experience.